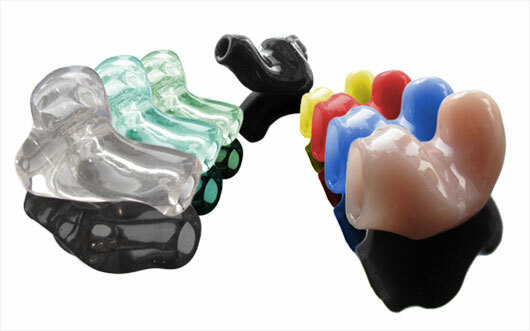 Six different pairs of different-shaped silicon ear tips can only take you so close to a perfect fit. On Tuesday, Swedish headphone outfit Jays joined the likes of Ultimate Ears and other custom headphone outfitters with the announcement of custom ear molds for its q-Jays in-ear headphones. Jays has partnered with fellow Swedes Bellman & Symfon to execute the individually fitted end of the earphone. Unlike typical custom in-ear monitors, which are cast as a single piece, the custom-fitted silicon tips for the q-Jays Custom will be removable, making it possible to swap them for generic tips or have them refitted every few years. Jays already offers the generic version of the q-Jays (which we weren’t overly fond of) for $179, and will release the custom version in April. Buyers will have to get impressions of their ears made at an audiologist, then send them to Bellman & Symfon to have the silicon tips made. Exact quotes for the tips may vary by location, but Jays will provide a $25 voucher toward the expense with the purchase of the q-Jays Custom.